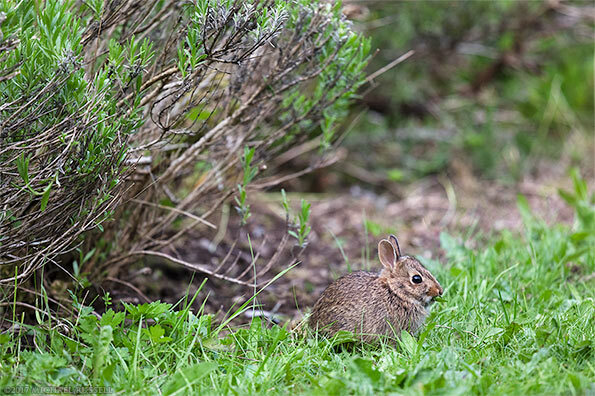 A young Eastern Cottontail (Sylvilagus floridanus) hiding in the weeds in a Fraser Valley backyard garden. This baby Eastern Cottontail (Sylvilagus floridanus) was hiding in the weeds in my backyard this afternoon. 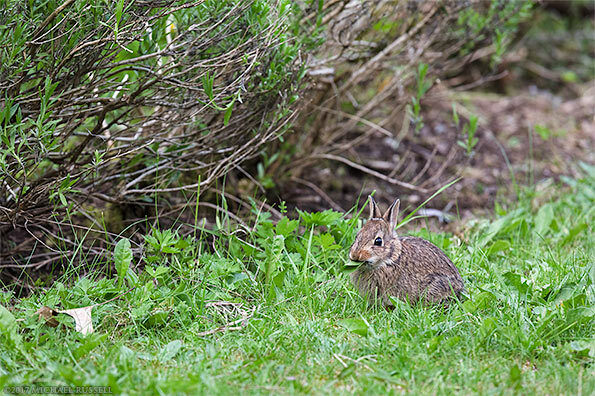 The adult rabbits can be approximately 44cm (17 in) long – and a few that forage in my backyard seem even larger than that, but this little one was only about 15cm (6 in). Very small, and hard to see even when you know where it is. 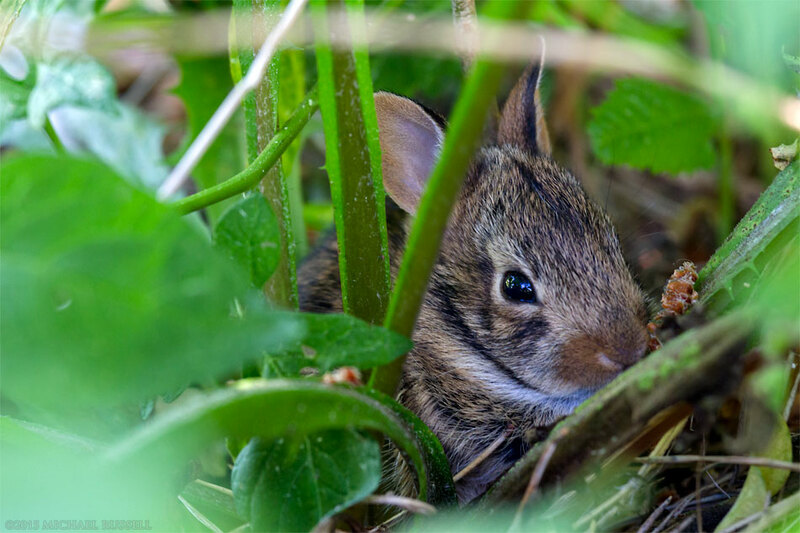 I initially came across this baby crouching down on some barkmulch, but when I came back with the camera it was in the weeds. While it is obviously keeping an eye on me, I tried to minimize my impact on it by putting on my longest lens and watching its behaviour for any stress. Other than some nose twitching, I never saw it move much at all. This kind of Rabbit – the Eastern Cottontail is an invasive species here in British Columbia and even so are rather abundant. 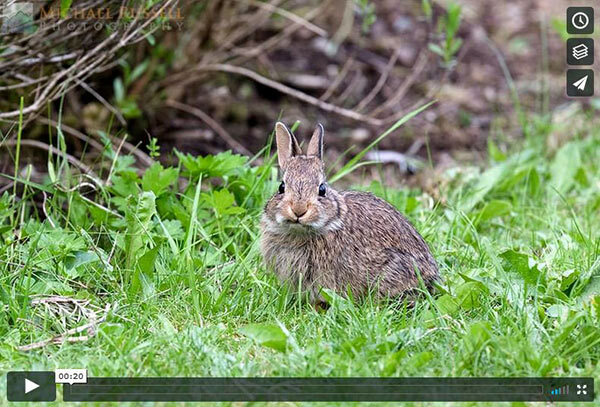 For more of my wildlife photography please visit my Animals and Wildlife Gallery.